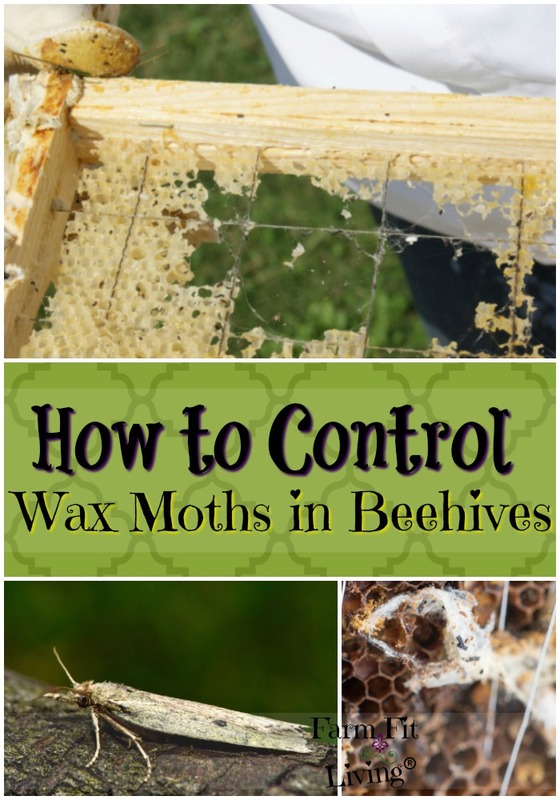 Are you looking for ways control wax moths in beehives? If you see a mess in your hive and very few bees, you might be experiencing wax moth infestation. You might be wondering what happened. Well, I’ going to give you some information to help you get through this. Because it’s a sad sad thing to look inside and see all that damage and no bees. I know. Some wax moth images to show you what they look like. These moths are insects that come into a weak hive and inhabitate. They become very destructive and cause the remaining bees to leave the hive. That is a very simple definition. There are two types of wax moths. Here are the differences between the lesser wax moth and the greater wax moth. Folded wings appear as a roof or boat shape. Male moths are smaller and lighter in color than females. Larvae is initially white in color but turns gray as they grow. Eggs are pearly white to light pink at first and then change to yellow. Hind third of wing is bronze colored. Larvae is initially white but turns gray in color as they grow. Hopefully that gives you a good idea of how to recognize the lesser wax moth versus the greater wax moth. Next, you need to know and understand the life cycle. The numbers indicate how long they live for at these stages. It takes a few days for the larvae to build their cocoon and transition into the pupae stage. The larvae stage is the most damaging. So, it takes hardly any time for that damage to take place. Immediate control methods are super important. The wax moths do not generally harm or kill the bees like the tracheal mites or varroa mites do, but they do make a huge mess inside the hives. As I’ve already discussed above. Yes, bees generally simply just leave the hive after a wax moth infestation. Luckily, there is hope for starting over even with all that damage they can do. How do They Damage Hives? How do they not damage hives? Moths come in to weak and failing hives and cause a mess. You’ll definitely know it when you see it. Hives are usually already weak and failing once the wax moths make their entrances to start laying eggs. The larvae really causes the majority of the damage while consuming the comb and the frames. Cocoons embed themselves into the wood frames. And the webbing! That stuff is a mess to clean up. No wonder the bees leave all that mess. If you don’t catch the damage soon enough, you will see significant damage (ruined) frames and foundation. These can’t be used again and will need to be destroyed by burning. However, with regular checks and immediate control methods, you can rescue and restore your equipment. Here are 9 ways to control wax moths after you find them in your hives. Freeze lightly damaged wax moth damaged equipment. Keep hives dry on the inside and outside. If equipment is completely destroyed beyond repair…burn it. Don’t leave supers of drawn comb in empty hives. Replace old comb with new foundation. Trap adult wax moths in a wax moth trap before they come in (Look for a link below). Finally, if you use mite detector boards or beetle traps, clean them regularly. Here’s a trap that will catch wax moths before they come into the hives. So, when you look into the hive and see damage, you’ll want to immediately start the removal and cleaning process. The next section explains how to do it based on my experience. There are a few things to do to clean up wax moth damage. And they do NOT require burning your expensive equipment! There’s no need to destroy your equipment if it’s all ok.
Wax moths will destroy equipment but if you catch it early enough and it’s all still intact, you can do these next few steps. Remove the entire infected hive and feeding equipment from your bee yard. If you have chickens, separate the pieces and place them around your chicken yard. Chickens will eat the wax moth larvae. Then, place frames and boxes in your deep freezer for AT LEAST 4 full days. This kills any eggs that may have been laid. Remove from freezer after 4 days and scrape off frozen larvae and mess using your hive tool. Get your hive tool here. Store them in a cool dry place until spring with paramoth. My mentors recommend storing hive boxes and frames after freezing wax moths along with using paramoth. You can get Paramoth here. Paramoth is a great product that has worked well for wax moth control in stored supers. Set the hive up in storage with newspaper in between boxes. Sprinkle paramoth in between newspapers and in between each layer. This will help to prevent wax moths from coming back in. Here are a few more strategies. There are a number of key things you can do to keep wax moths out. The biggest prevention method is to keep your hive numbers healthy. Regular checks to find a healthy Queen are very important to the success of your hive. If you don’t find a Queen in your hive, you need to requeen it. Read how to Requeen Queenless Honeybee Hives Here. You should also strongly consider feeding supplement to a weak hive. Yes, they consume their own honey but they definitely will need extra going into winter. 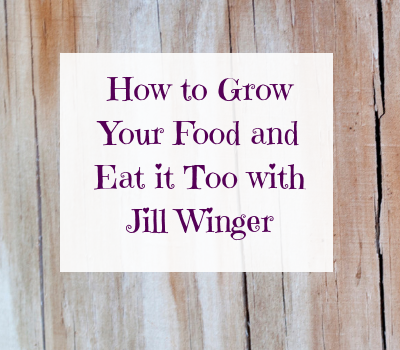 Read how to feed bees here. Read how to make Bee Candy Boards for Winter here. Finally, make sure your hive covers are secure and not leaking moisture inside the hives. Moisture in the hive cause colonies to become weak and moths to come in. Good beekeeping management will be the key to continue beekeeping into the future. It’s super important to feel in control and success in order to keep going. It’s so easy to want to quit beekeeping. As easy as it is to not want to keep bees. Read here on why people won’t keep bees. If you have a wax moth infestation, please know that beekeeping isn’t over for you. There are control and prevention methods for getting rid of wax moths that you can take to be in control of this situation. Please understand that there are numerous reasons for weak hives. Once a hive is termed weak or numbers lower than you want, that’s when the wax moths come in. This situation might make you want to be done with beekeeping. It may be your breaking point. But, this is a minor situation if caught early on. So, keep in mind the symptoms and know what to look for so that you can stay on top of the problem. If you stay in control with bee checks, you’ll have better luck with keeping Bees for years to come. Are you new to beekeeping? Join my Community on Facebook for Making it through the first year of beekeeping! I'm narrowing it down for you. Here's my TOP 5 resources I love and turn to for all my beekeeping questions! Success! Now check your email to print your resource list! I have started experimenting with an biological insecticide (a natural occurring bacteria) that is sold under the trade name Xentari BT. This is my first year using it, but my hives look vigorous after application. I had 1 frame with wax moth damage. I removed it, applied the XBT, and wrapped it in a towel for transport. When I got home the larvae (the ones that cause the damage) were trying their very best to get away. I fed them to my chickens. Thanks for the suggestion, James! I’ll mention it to my beekeeping group. I have found a way to cure wax mouth problems for good I built quilt boxes for all my hives. Instead of using wood chips or sawdust I chose cedar shavings. These can be purchased at your farm stores in the pet department When I used my cedar filled quilt boxes the wax mouths (and the SHB ) left town, It seems they don’t like cedar, This works just like the old cedar chests that grandma used to store her wool clothes and keep moths out. Thanks you grandma. I had not heard that one yet, Gordie! Thanks for sharing! I have a question about the cedar chips where would I put that in the hive and how would I contain it in one area in the hive. Is this for year around use. This would be just primarily for some extra insulation to trap moisture during the winter if you live in a cold climate. You would just simply flip over your inner cover and put a layer in the top. Then, the inner cover with chips on top. And put the cover on. You really don’t need to do this other times of the year. I hope this answers your question. does the cedar affect the bees in any way? You’ll want to make sure the cedar is untreated. If untreated, it won’t affect the bees or progress inside the hive.